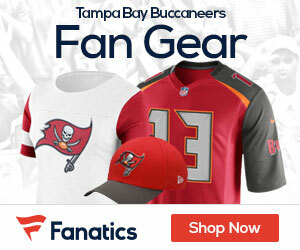 « TE Cameron Brate Is Going to Command a Lot on the FA Market; Can the Buccaneers Bring Him Back? Saquon Barkley is a dynamic player who some have going as early as #1 to the Browns in the upcoming 2018 NFL Draft. Today we give you a look at what this big-time player has to offer wherever he ends up in the draft. What I liked: I’ll do my best to condense my thoughts here. I pretty much like everything about Barkley’s game. He has patience, vision and power as an inside runner. He can step through tackles or drop his shoulder and run through them. He is very quick laterally to avoid defenders in the hole. He has an excellent burst to the perimeter on outside runs. Once he gets the corner, he’s elusive in space and has the speed to go the distance. He’s very dependable in pass protection. He’s assignment aware and does a nice job squaring up blitzing linebackers to stall their charge. He also has very strong, reliable hands. He can pluck the ball away from his frame and he’s explosive after the catch. He gets rave reviews from teammates and coaches for his tireless work ethic. His weight-room accomplishments have been well noted this offseason. Where he needs to improve: There aren’t many areas where Barkley needs to improve. There have been a few occasions where he gets “bounce happy” instead of staying inside and taking a 2-3 yard gain. He has some negative plays as a result of his eagerness to hit the homerun. I’d love to see him used in a more diverse way in the passing game. He has the ability to split out and run routes like a receiver, but his opportunities were limited last year. Hopefully that will change this fall. Biggest takeaway: Barkley is everything you’d want in a modern-day running back. He can run with power, generate explosive runs and contribute on passing downs. As a player, he reminds me a lot of Ezekiel Elliott coming out of Ohio State. I thought Elliott was one of the best pass-protecting college running backs I’d ever evaluated and Barkley is right on that level. Both guys have that ideal blend of size/speed and they are very instinctive football players. Everything? Yeah, just about everything. Before we even get to his game, it’s worth noting that everyone who knows Barkley describes him as high character guy, including current Mississippi State head coach Joe Moorhead, describing him as “Smart, humble. He’s the rare guy whose humble attitude supersedes his talent.” On the field he is a powerful and explosive runner between the tackles, showing great vision on cut backs and the ability to run through someone if needed. He also has the ability to get outside on sweep plays and is extremely elusive in space. He has good hands and really improved his receiving game in 2017, contributing 54 catches. Add in that he is a great pass protector, something that can keep rookies off the field, and you are looking at one of the most complete running backs to ever enter the draft. Bonus: want to see someone power clean almost twice their body weight? There are basically no holes in Barkley’s game. He can get a bit indecisive in the hole at times and try to make too much happen, but those tendencies are due to him being better than everyone on the field. With his graduation to the NFL, I expect those bad habits to go away. He has a little room to improve on his pass catching as he dropped a couple easy balls over the year, but these critiques are splitting hairs. 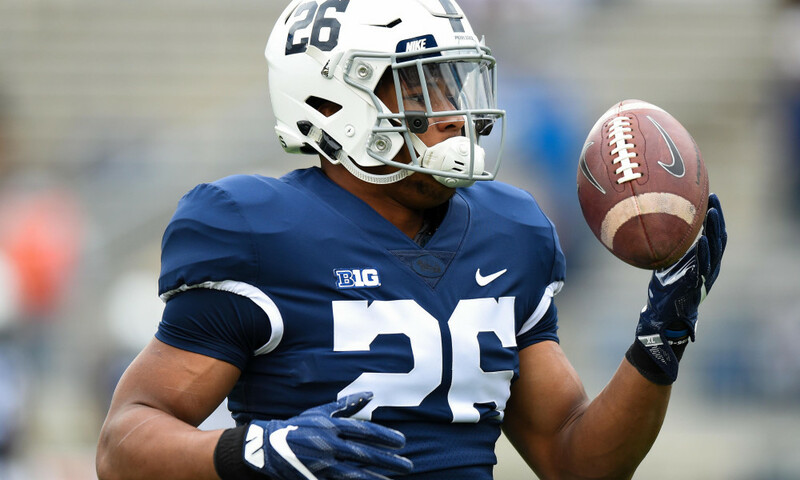 Saquon Barkley is a generational type running back. He’s an athletic specimen with a well-rounded game that will make an instant impact for an NFL team. How well he does immediately in the pros will be much more a function of where he lands than his skill set, he can do it all. The Titans, built sturdy and tough up front, rushed for 195 yards on the vaunted Seahawks defense on Sunday. The Ravens spent the last two offseason getting younger and quicker on defense, and that group kept the Bengals and Browns out of the end zone in Weeks 1 and 2. Then in London, a Jaguars offense reworked this offseason with size in mind ran for 166 yards on them. This is how the NFL works. Teams spent the last decade building around quarterbacks and receivers, and defenses are now stocked with 220-pound linebackers and 250-pound pass rushers. And now we’re getting the zig to that zag—personnel czars like Jacksonville’s Tom Coughlin and Tennessee’s Jon Robinson capitalized by building jackhammer offenses to run at those defenses, while creating better environments for their young QBs.